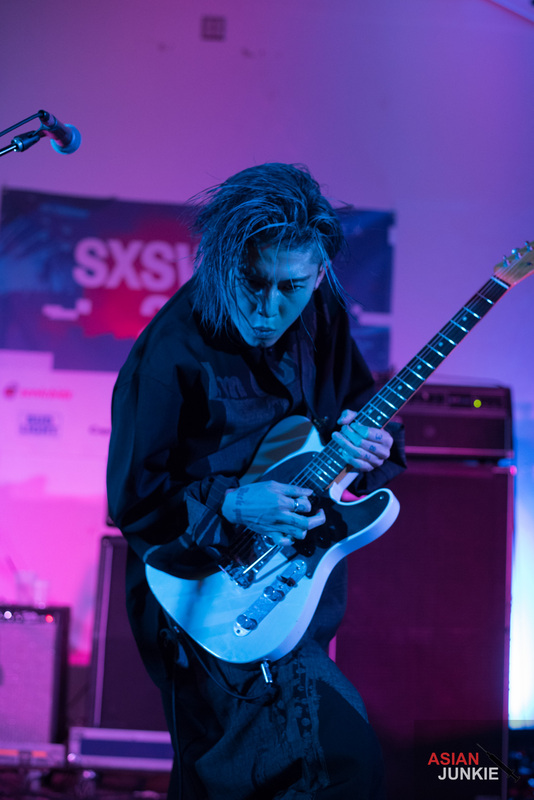 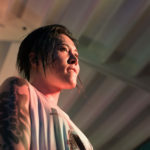 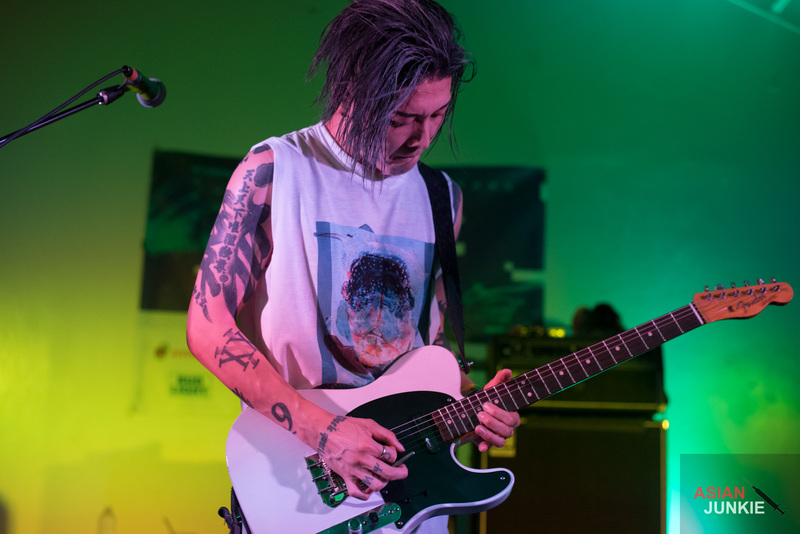 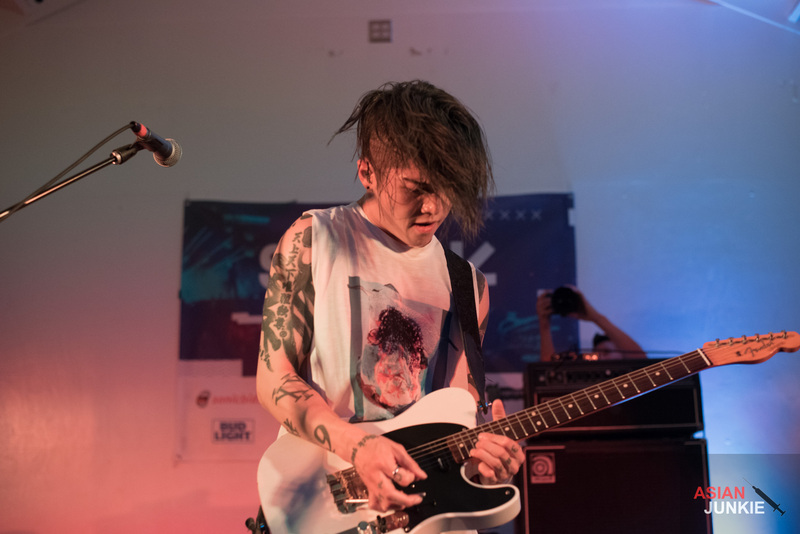 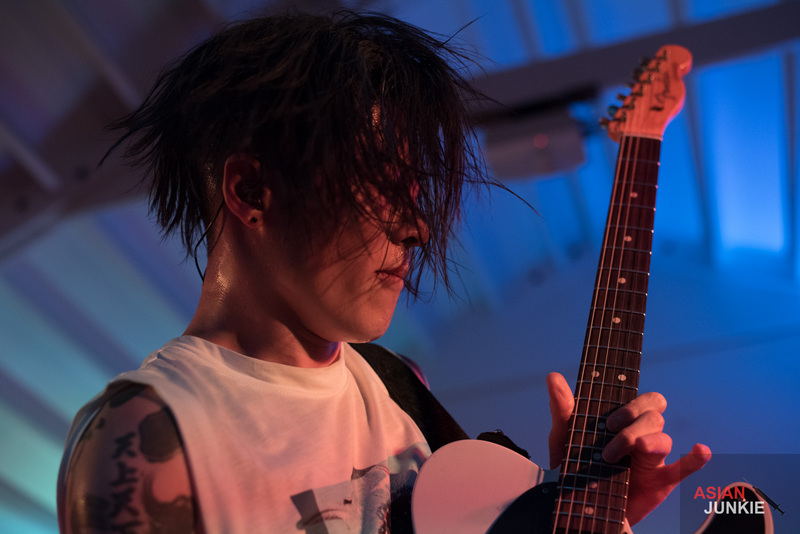 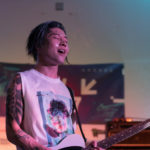 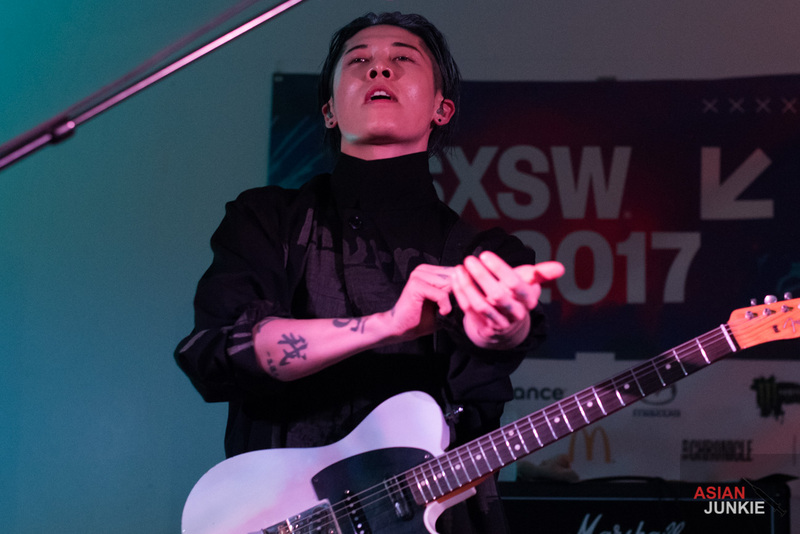 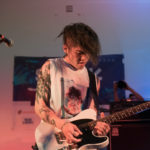 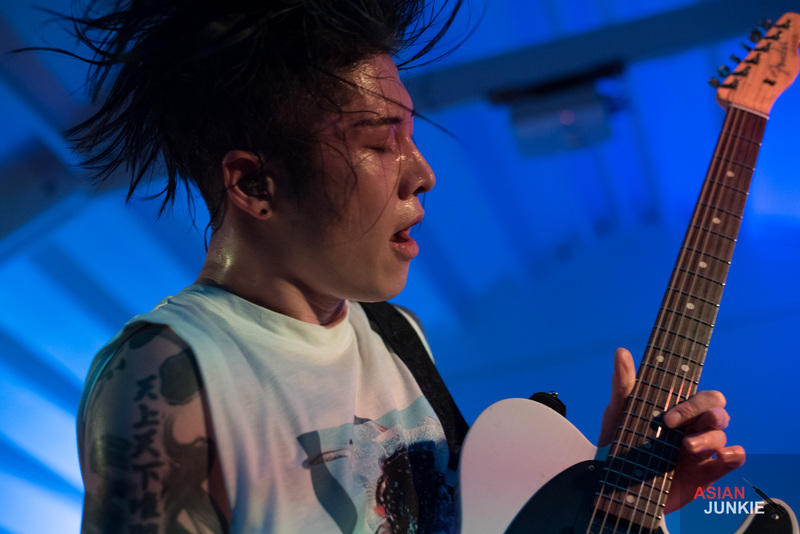 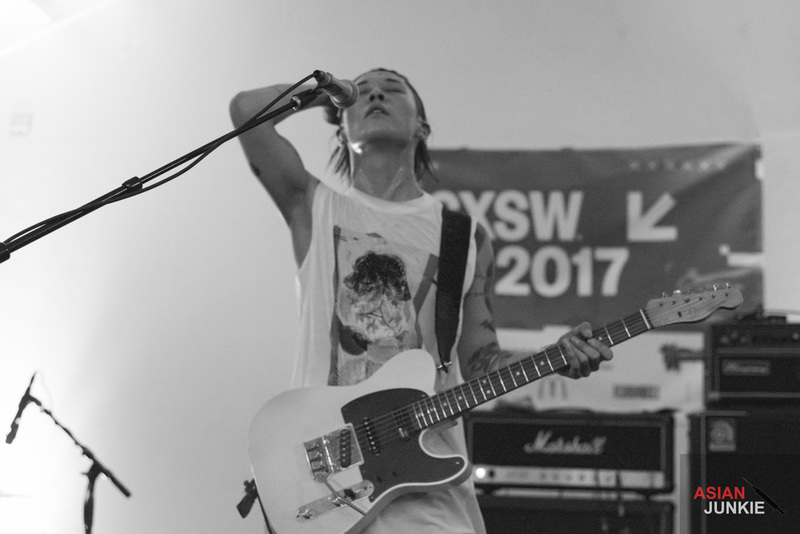 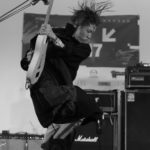 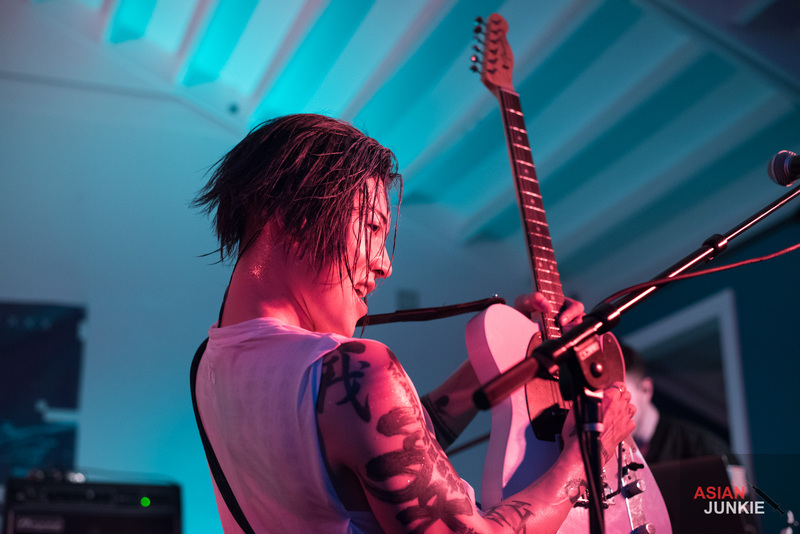 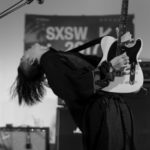 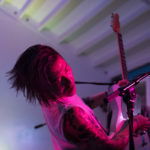 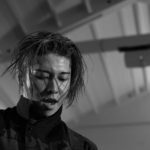 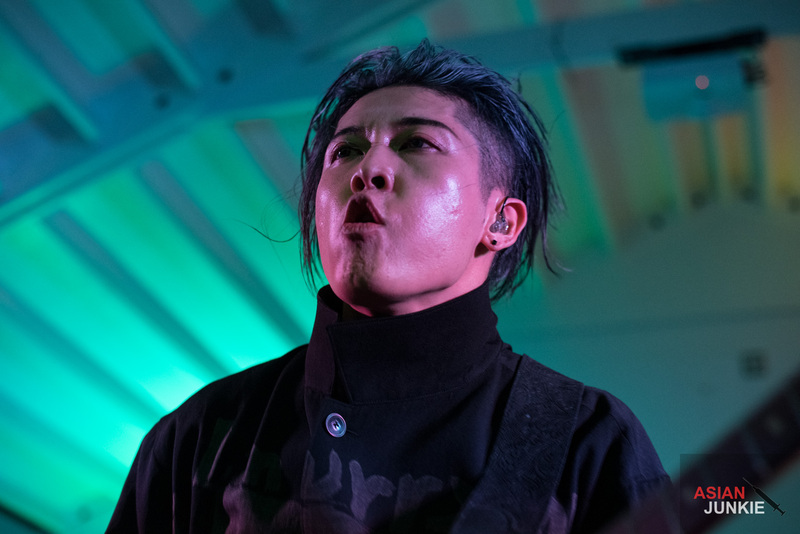 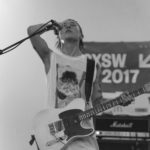 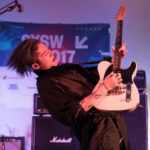 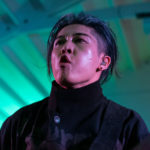 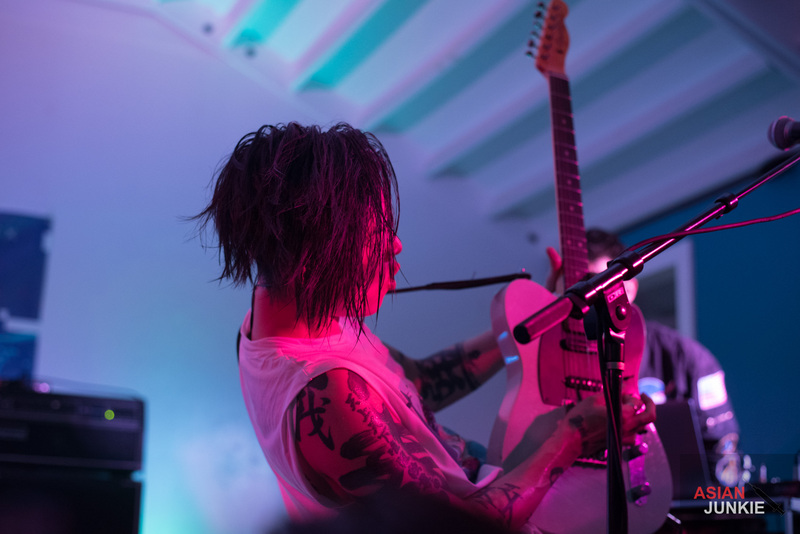 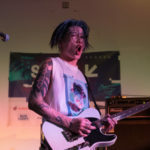 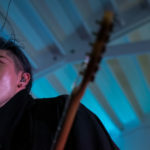 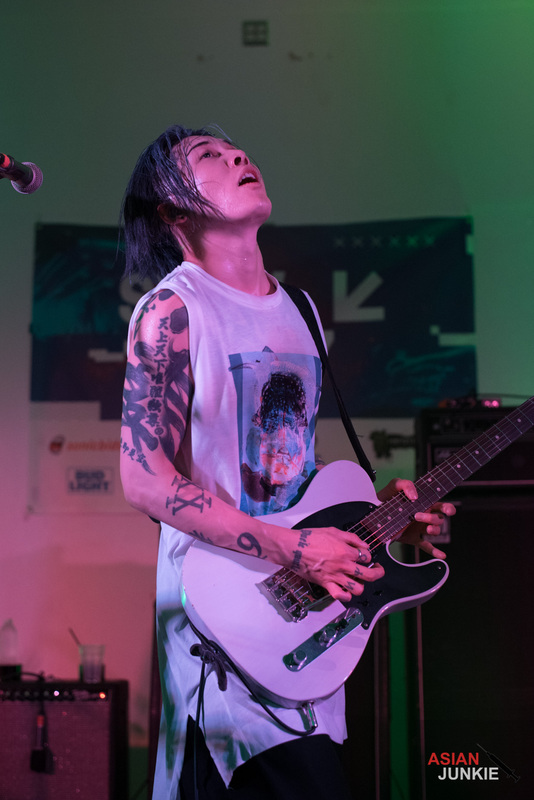 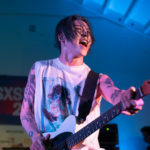 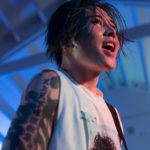 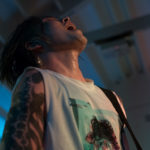 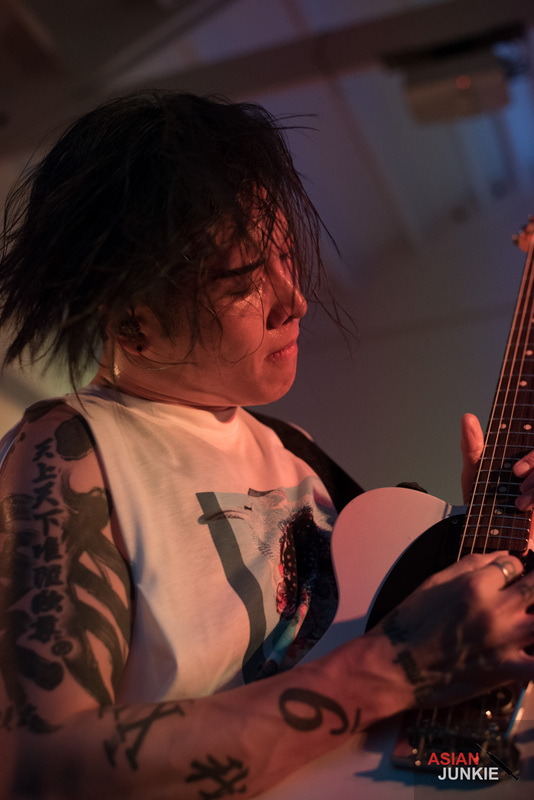 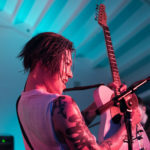 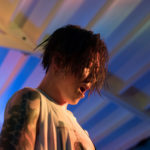 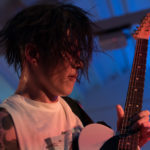 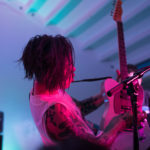 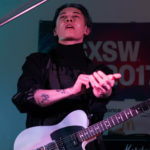 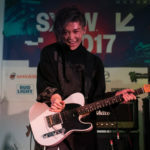 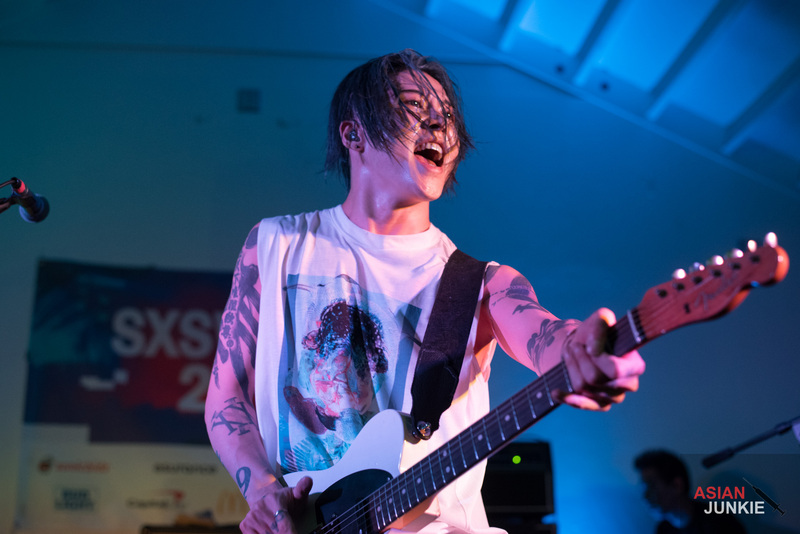 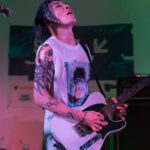 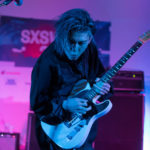 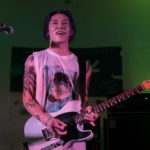 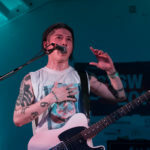 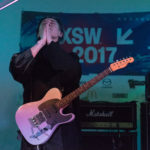 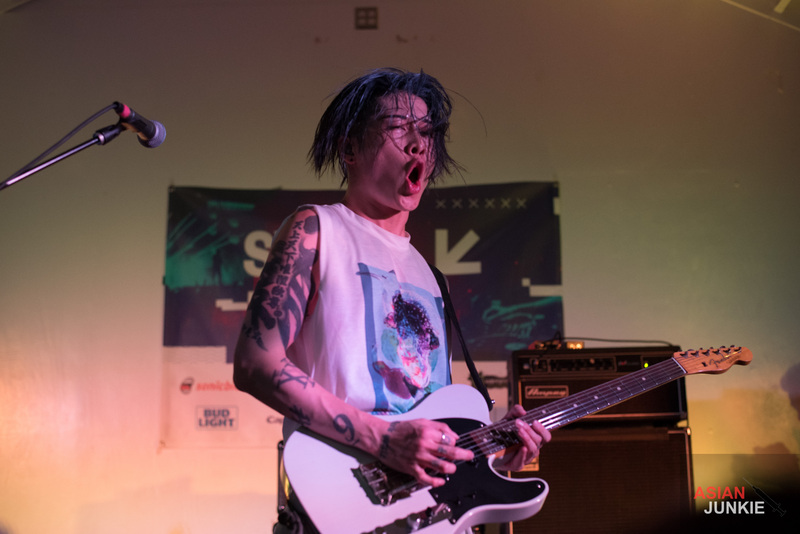 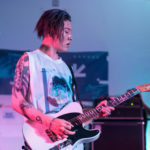 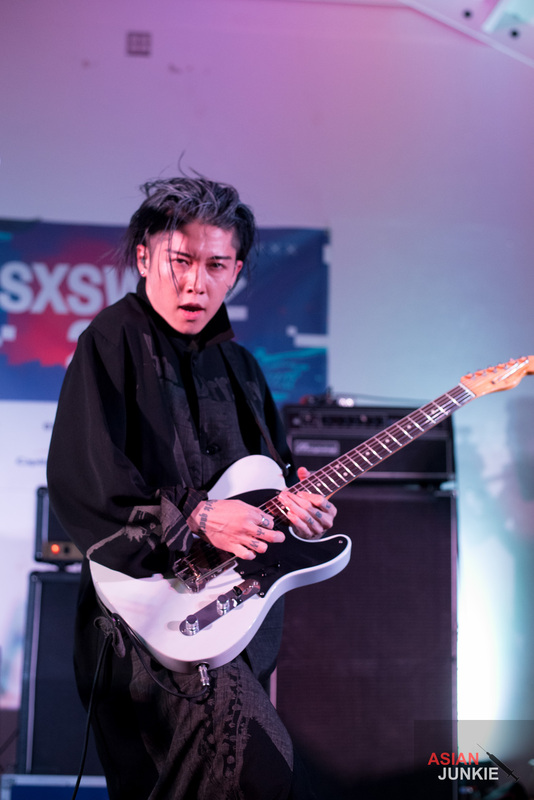 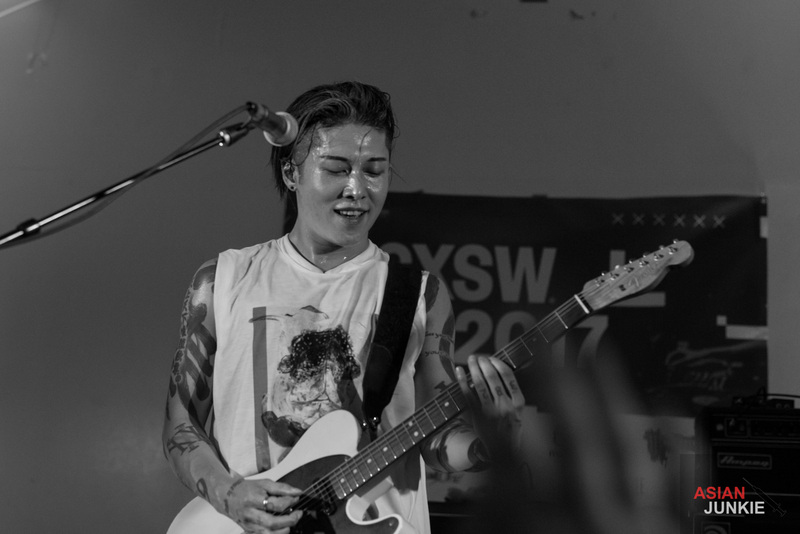 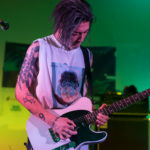 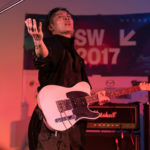 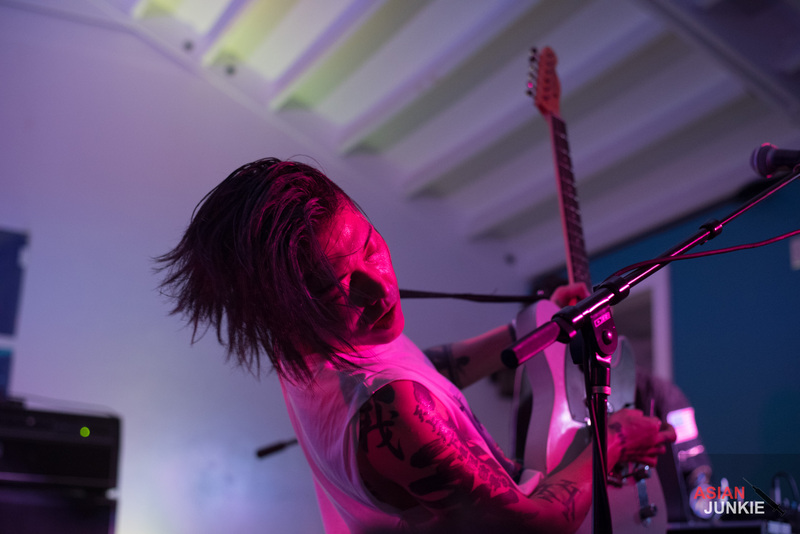 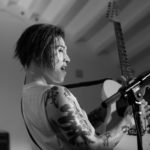 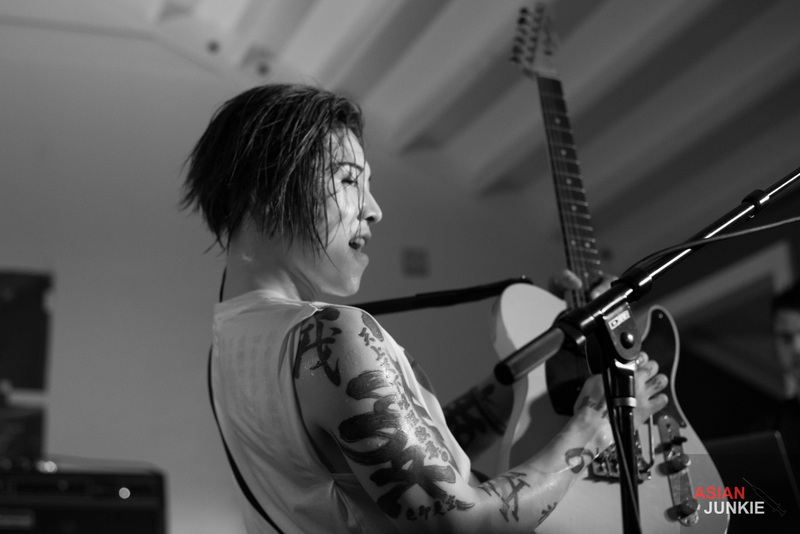 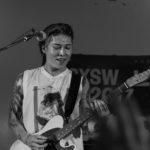 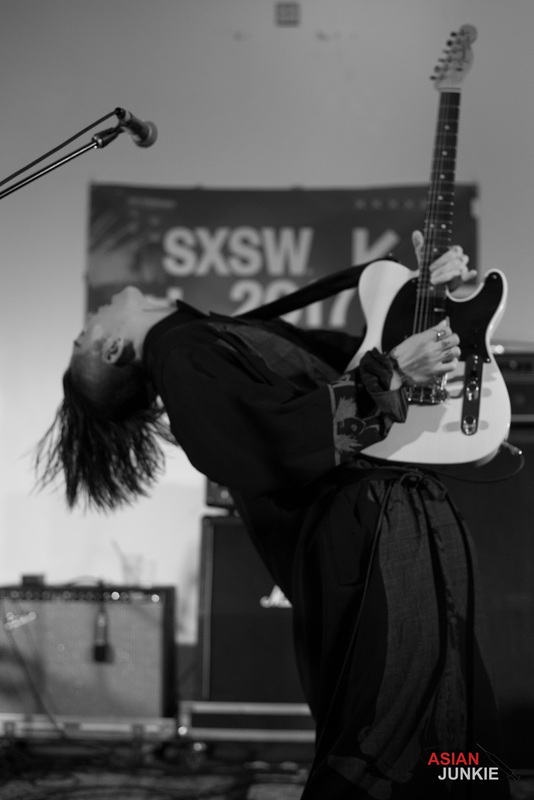 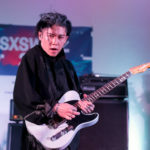 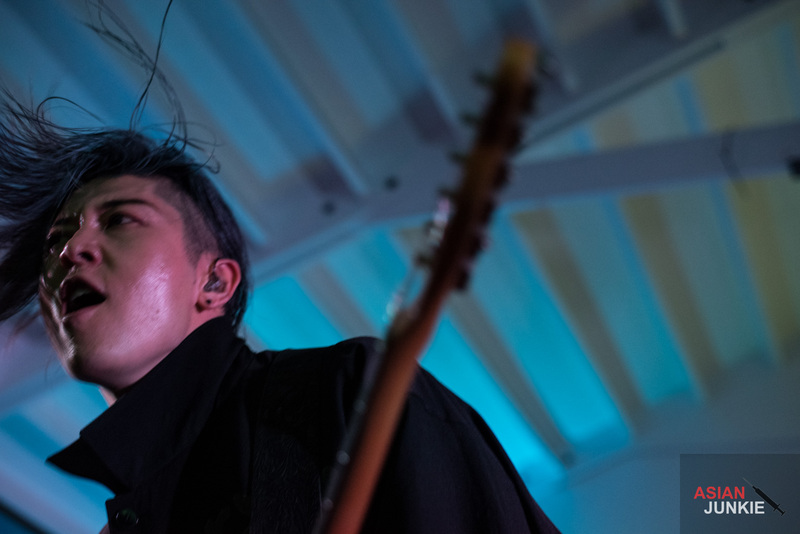 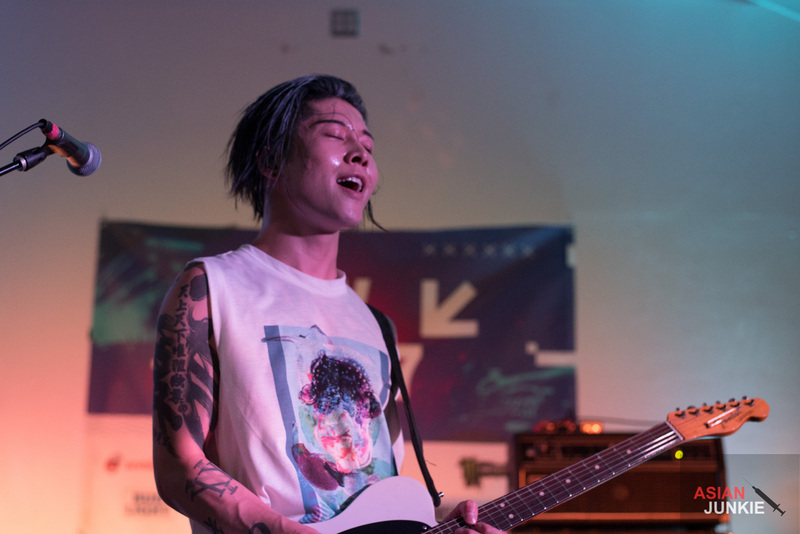 Miyavi, the Japanese god of fantasies and guitar, decided to grace Austin, Texas with his presence this year at SXSW. 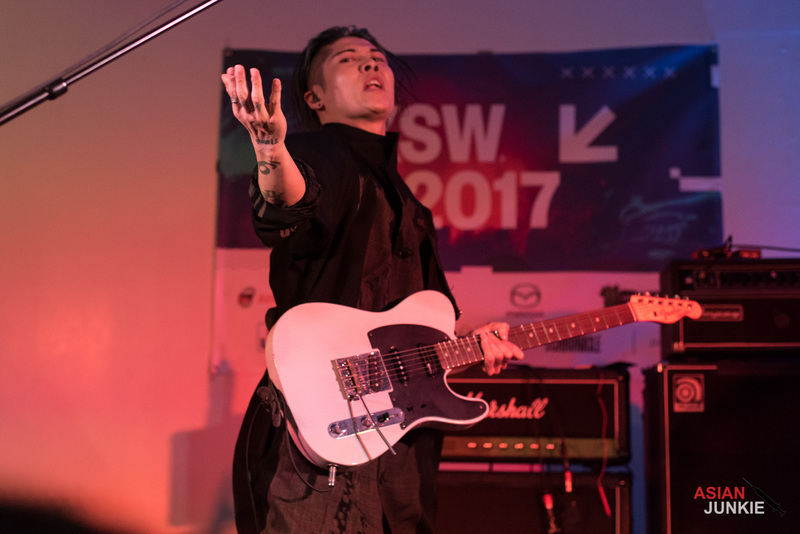 He performed two shows at the festival, both to a packed crowd. 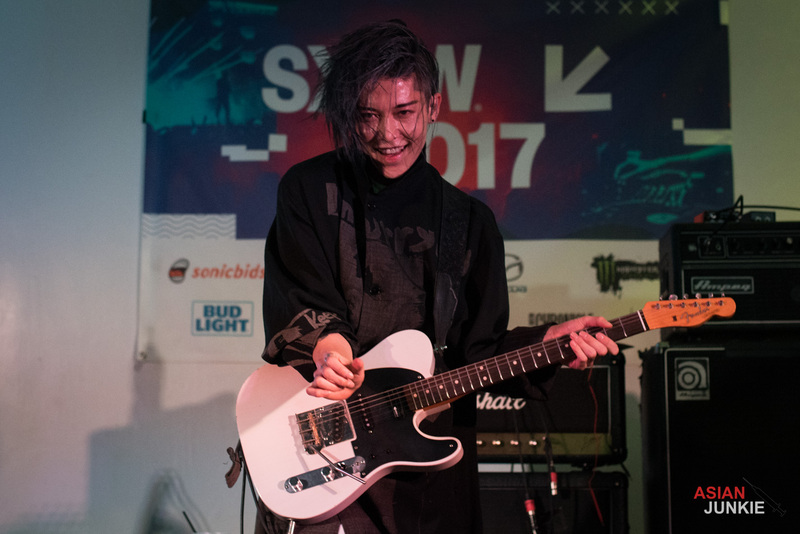 I caught the performance artist at Maggie Mae’s, and it was absolutely worth the insanely long wait! 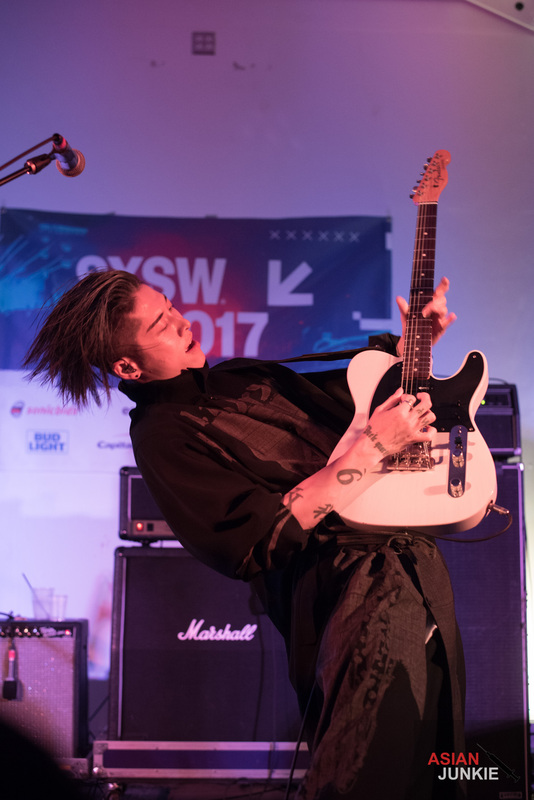 Miyavi seems like the kind of guy who will turn to you, drop deep wisdom, then go rip on his guitar in the name of peace, much like Prince. 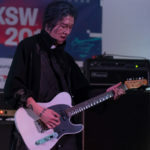 He wields music as a weapon, enticing before practically murdering you with the entire performance. 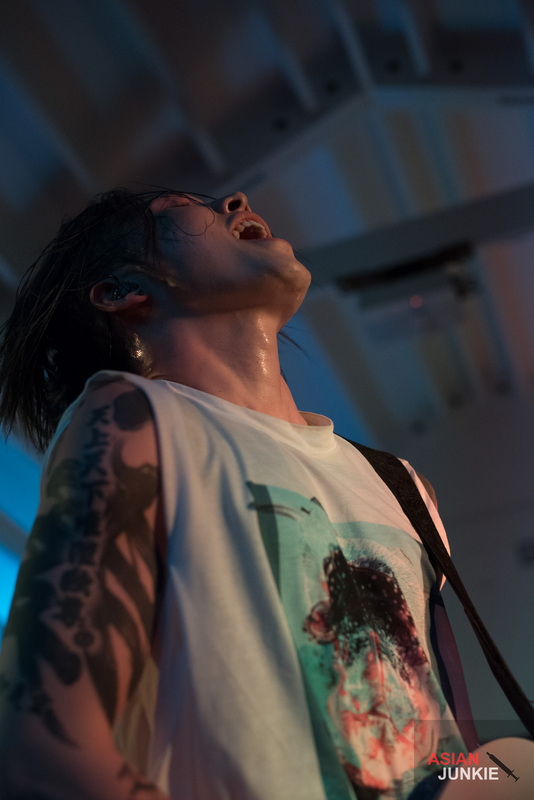 His body and soul laid out for sacrifice in the name of audible pleasure. 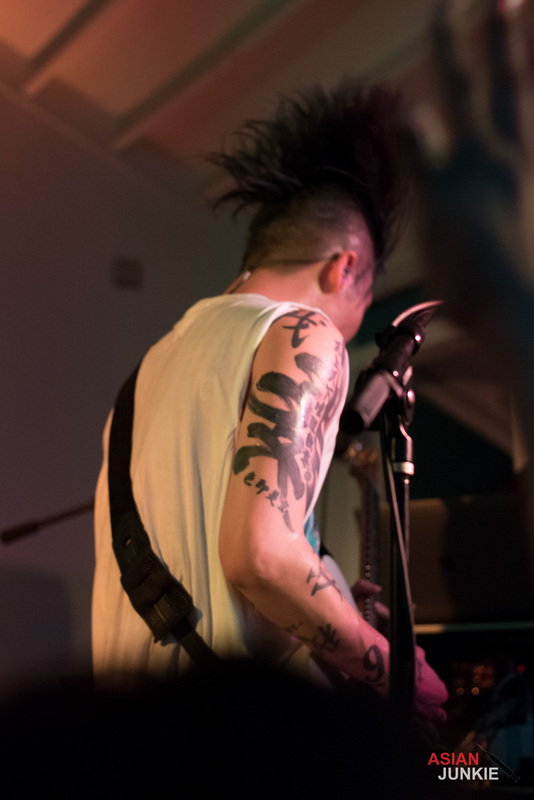 Not just sounds, but sights as well. 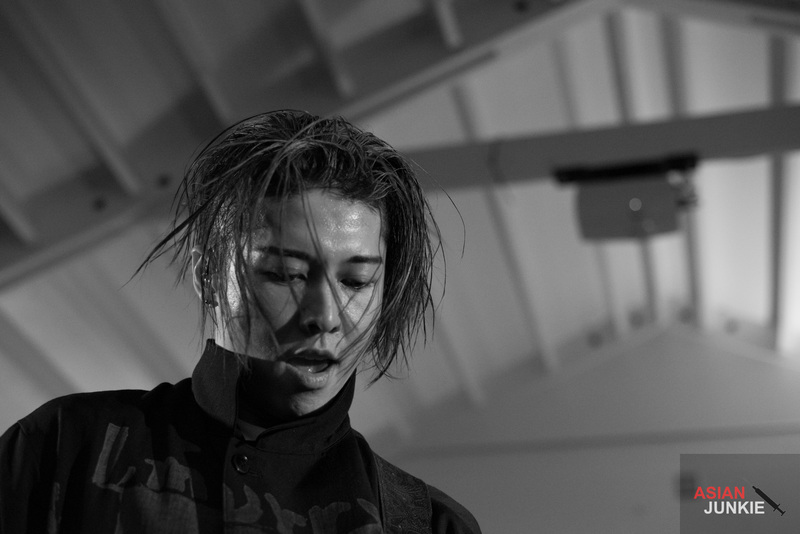 The faces he makes … holy cow! 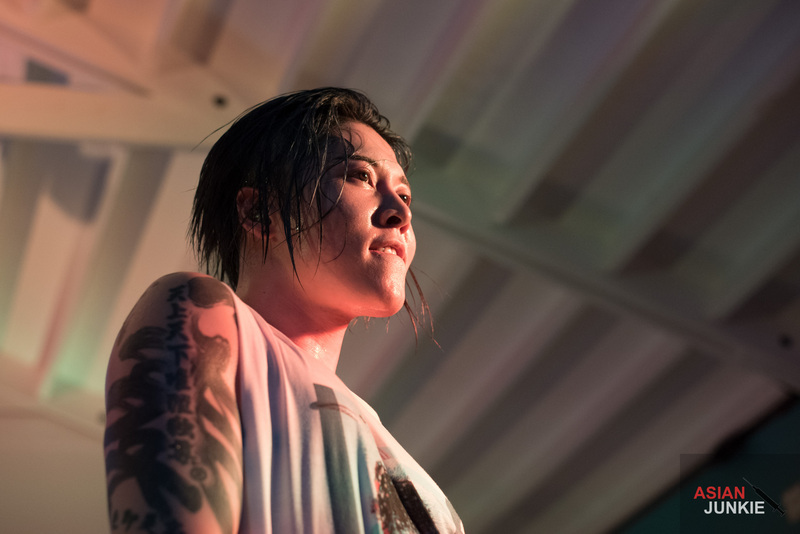 On Thursday the 16th at around 1:15 in the morning, the upstairs outdoor loft at Maggie Mae’s was overflowing with fans, chomping at the bit, waiting to catch a glimpse of the man himself. 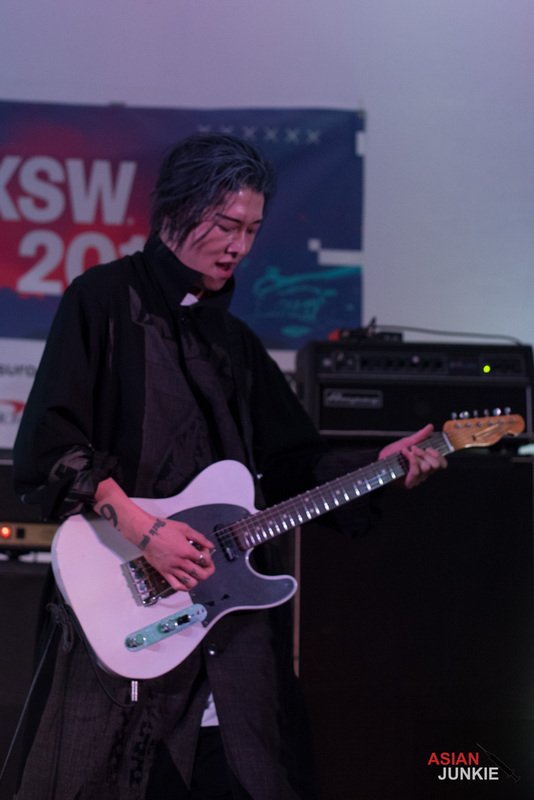 He stepped out on stage in his famous black trench coat and black genie pants, pulled halfway up his calves, his streaked deep grey hair, slicked back. 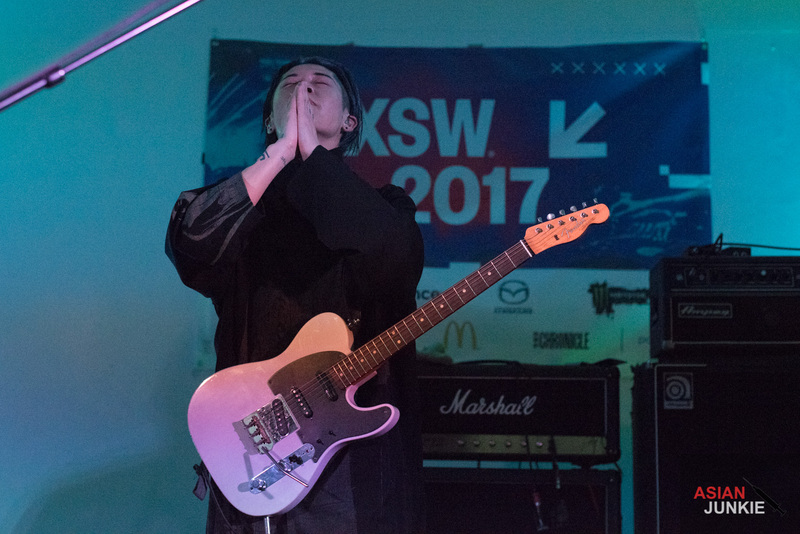 He stood center stage, placed his hands together in prayer pose and closed his eyes. 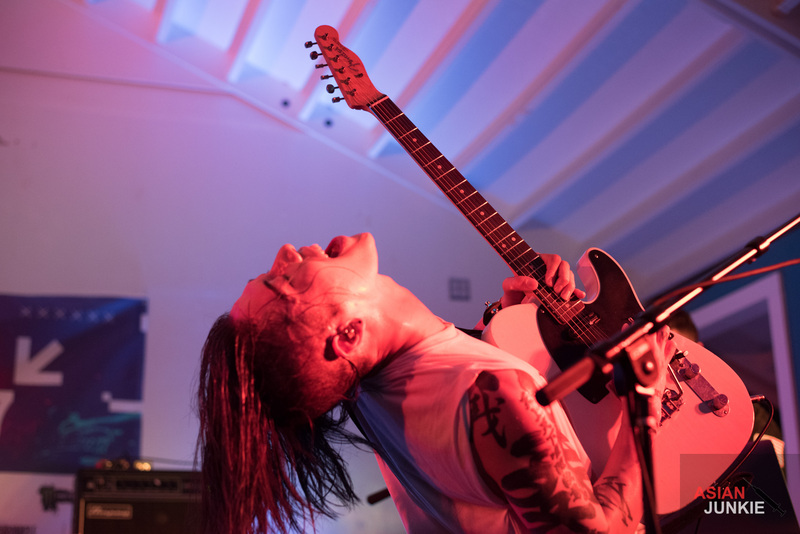 The entire venue lost it’s collective mind. 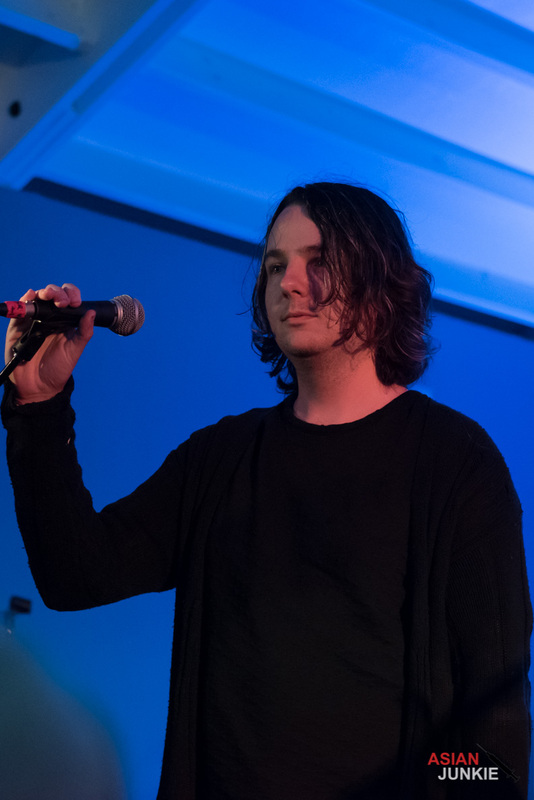 He also performed a fantastic cover of “Youth Of The Nation,” sung by his friend and fellow artist Seann Bowe. 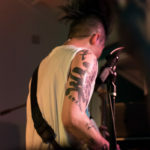 The entire audience sang along as the nostalgic lyrics spoke deeply of our current state of affairs. 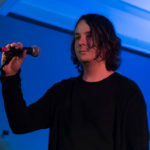 He spoke of his daughters and how he felt that we needed to take a stand not only for ourselves, but for the next generation, just before he started the song. 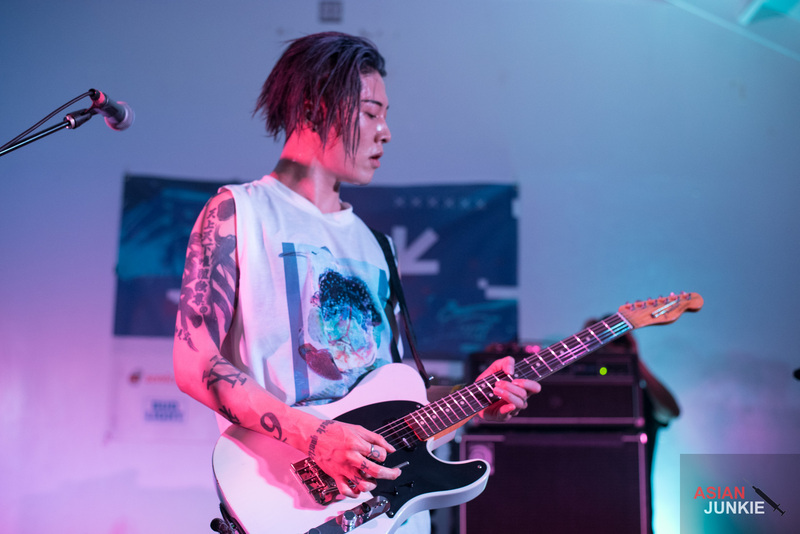 By then, the jacket had come off to reveal his signature overly long tee shirt, cut into a tank top, deep armholes revealing glistening sweat-sheened skin, as he ran his nimble yet strong fingers deftly over the strings of his guitar. 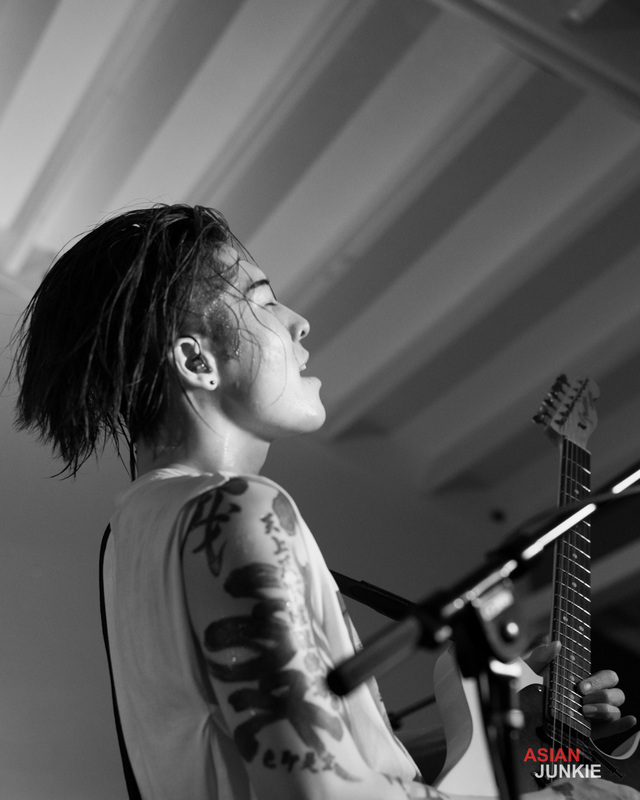 Notes sang for him, each piercing into the night. 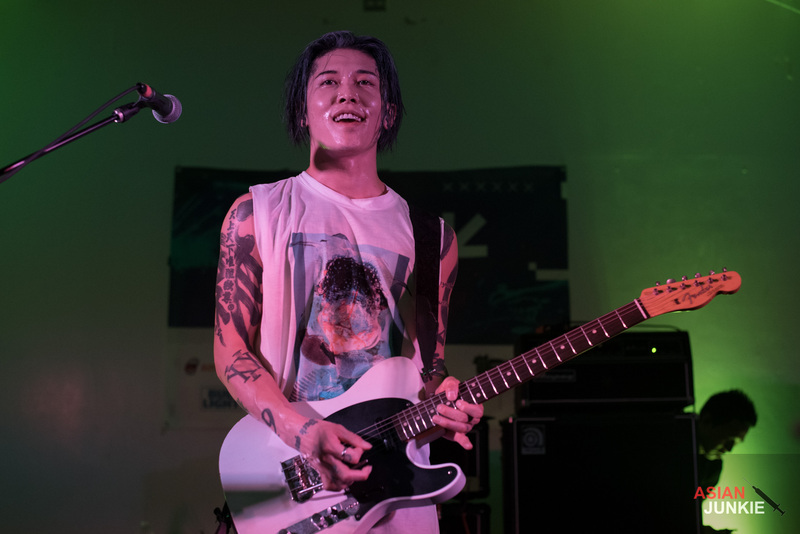 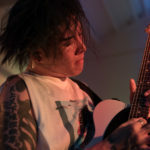 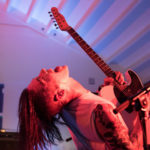 We had waited hours through a massive Asian showcase of rock, punk and ska; our bodies exhausted, our feet and limbs in pain, but the moment he’d started to play and smiled that wicked smile of his at the crowd, all was forgotten. 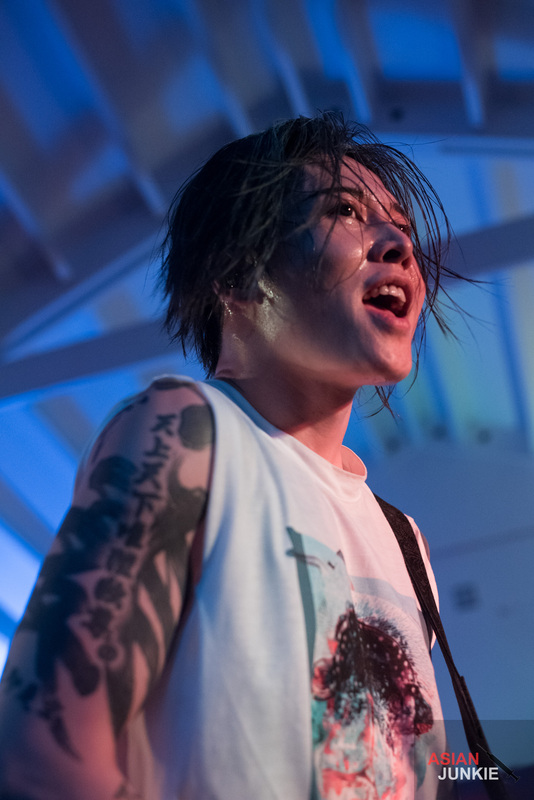 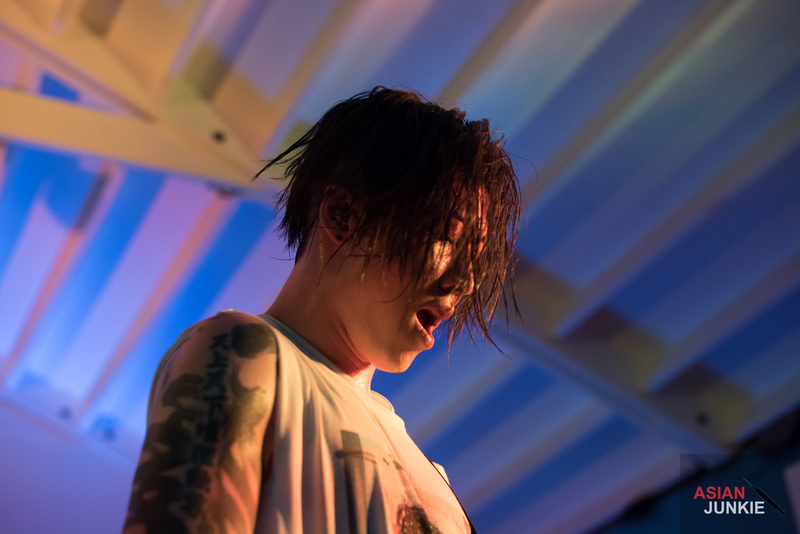 There was nothing but Miyavi — sweat pouring down his face and body, his hair flinging droplets all about — and you. 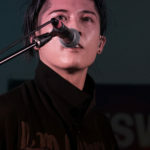 At more than one point he stepped up to the edge of the audience, no space between him and the front row as he writhed and gyrated through the music. 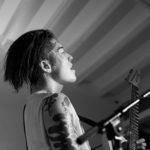 His eyes closed, his head thrown back, he’d lifted his guitar into the air and played with the instrument above his head. 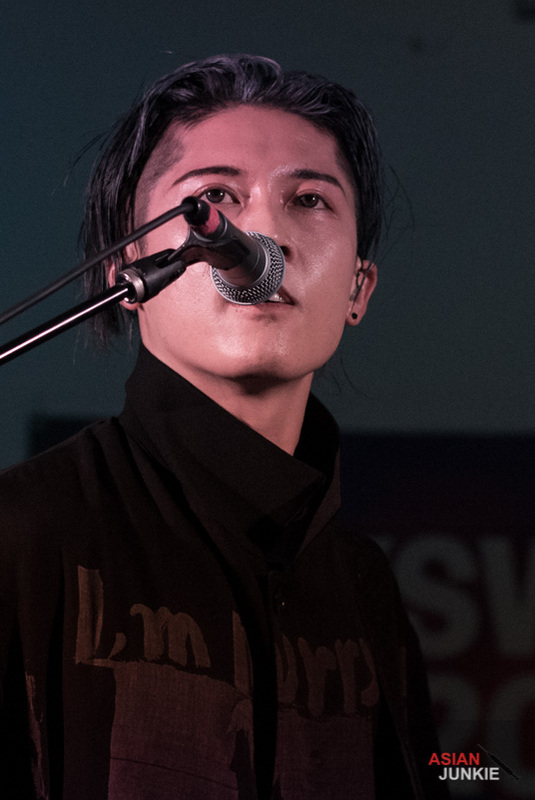 It was an extension of his body causing this emotional feelercoaster that none of us were prepared for. 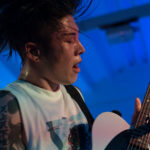 Then suddenly he snapped his head up, and eyed the crowd, this evil grin spread across his face as he pulled the guitar down hard and rocked out like there was no tomorrow. 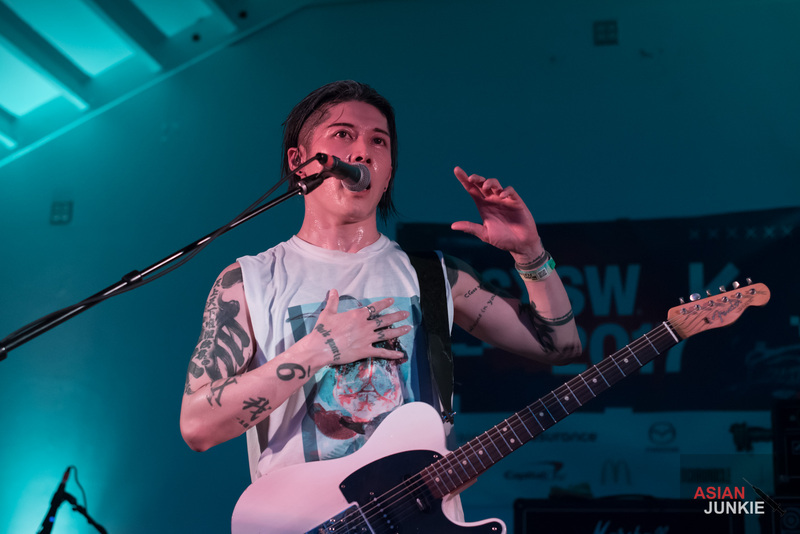 I’d never seen Miyavi before, and frankly, I wasn’t sure what all the hype was about. 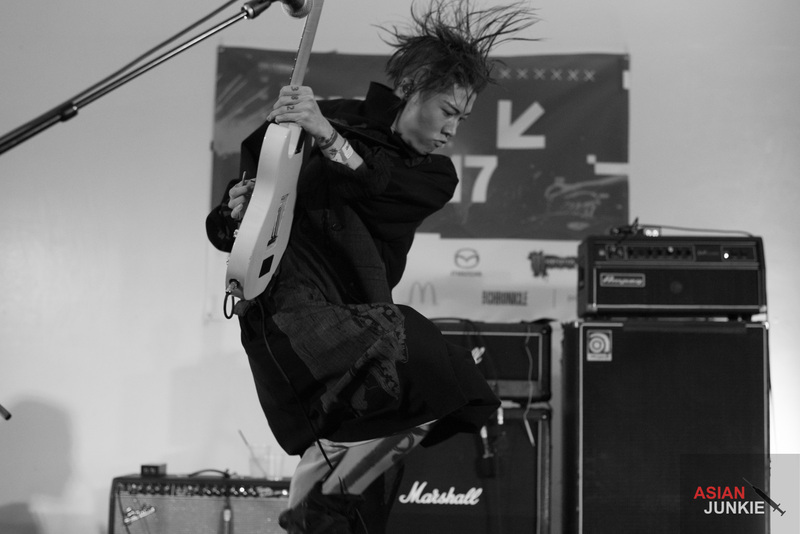 Now … now when I die I hope to come back as his next guitar.